Torddu, the Welsh name meaning 'black belly' have distinct black stripes above the eyes and a black stripe running from under the chin to the belly and continuing underneath to the end of the tail. The legs are black with a tan stripe. The fleece can be white, grey or light brown, but preference is given to the lighter shades. The wool should be firm and medium length (7-10 cm). 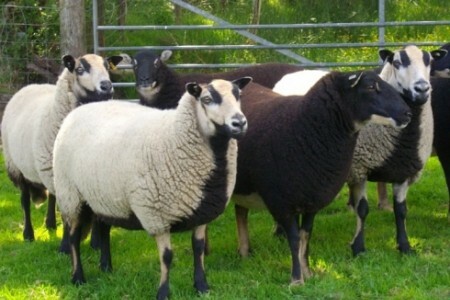 The Torwen, the Welsh name meaning 'white belly' show the reverse coloring, but with a smaller eye stripe. Their bodies should be compact and strong and of medium size. Both Torddu and Torwen rams are horned and weigh up to 90kg. Ewes are polled and weigh up to 60kg.